Bhagvan Kommadi is the Founder of Architect Corner & has around 18 years’ experience in the industry, ranging from large scale enterprise development to helping incubate software product start-ups. He has done Masters in Industrial Systems Engineering at Georgia Institute of Technology (1997) and Bachelors in Aerospace Engineering from Indian Institute of Technology, Madras (1993). He is member of IFX forum,Oracle JCP and participant in Java Community Process. He founded Quantica Computacao, the first quantum computing startup in India. Bhagvan has engineered and developed simulators and tools in the area of quantum technology using IBM Q, Microsoft Q# and Google QScript. 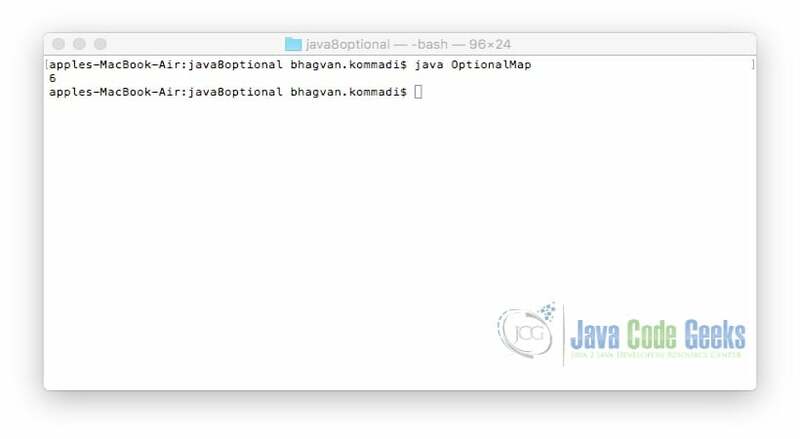 This is an in-depth article about Java 8 Optional. 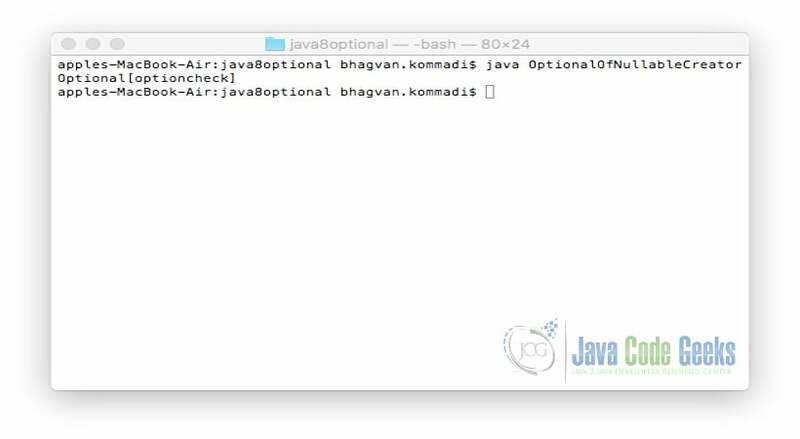 A new class Optional was introduced in Java 8. The optional class is part of java.util package. Optional is used to represent a value. It can be present or absent. No more null checks and NullPointerException are needed. Optional helps in avoiding any runtime NullPointerExceptions. It helps in developing clean and neat Java APIs. Optional Object is also a Container which holds at most one value. 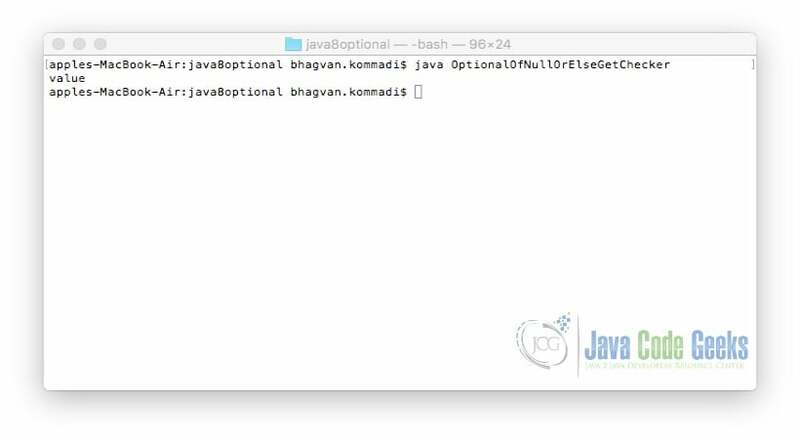 The Advantages of Optional are Null checks, NullPointerException at run-time not required and no more boiler plate code. The Optional class is used to make a field optional. The field may or may not have values. Optional objects can be created using empty, of and ofNullable methods. The output of the executed command is shown below. 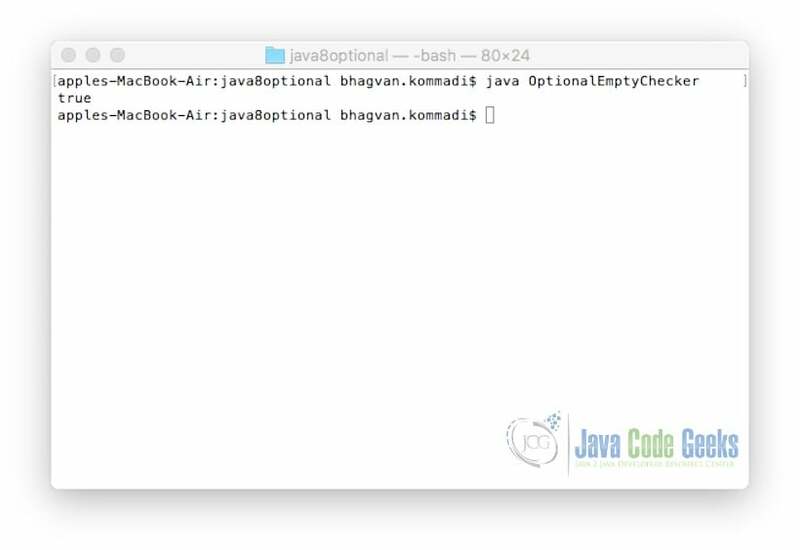 An Optional object’s value can be checked using isPresent method. IsEmpty can be used if you want to check if object is empty. The sections below show the isPresent implementation. 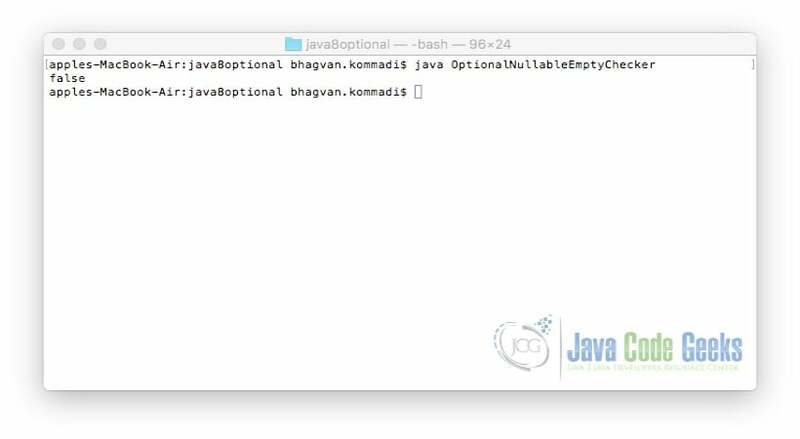 A java standalone application is presented to show the implementation of Optional in the application features. Without using optional, the application is presented first. ImageSize, ImageFeatures, Photo, PhotoService and PhotoTesterNoOption classes are part of the photo management application. The code snippet below shows the ImageFeatures class. The code snippet below shows the ImageSize class. The code snippet below shows the Photo class. The code snippet below shows the PhotoService class. The code snippet below shows the PhotoTesterNoOption class. 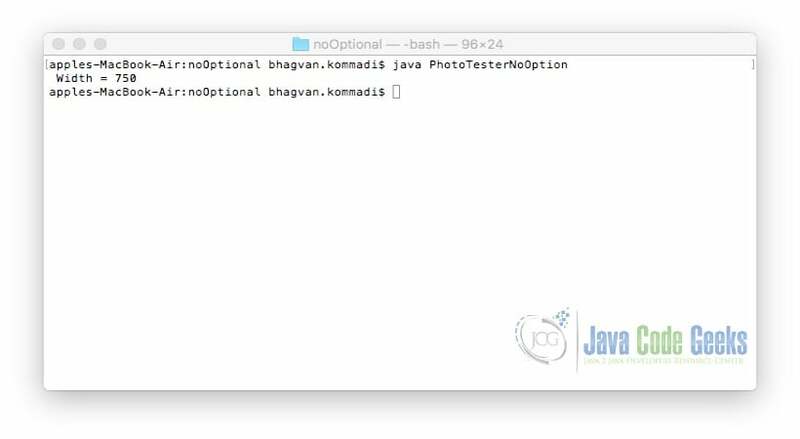 ImageSize, ImageFeatures, Photo, PhotoService and PhotoTesterOption classes are part of the photo management application in which Optionals are used. 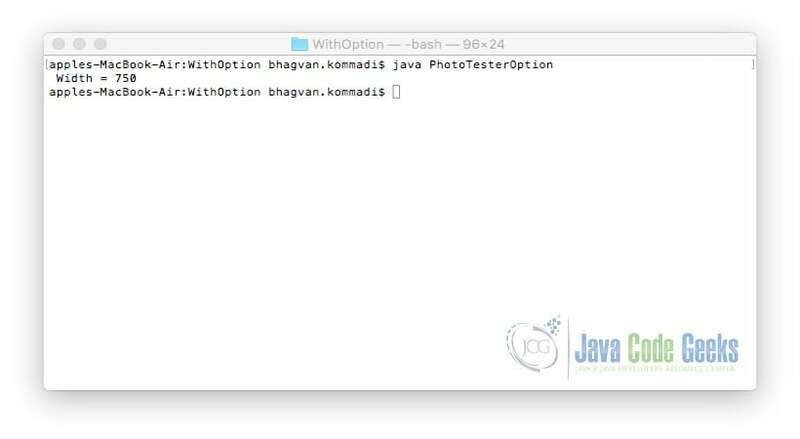 The code snippet below shows the PhotoTesterOption class. You should not assign null to an Optional object. Developer should assign a value to Optional Object before invoking get(). Use orElse method when optional default object has no value. 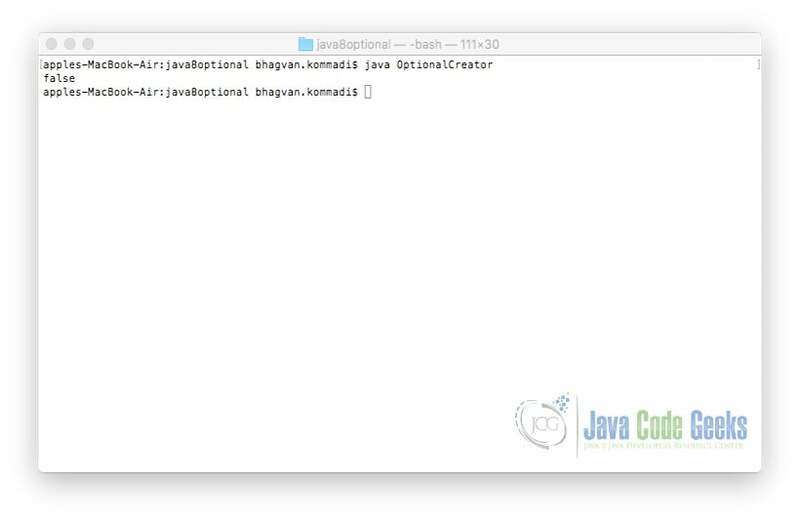 You can use orElseGet to return a non existent optional object. 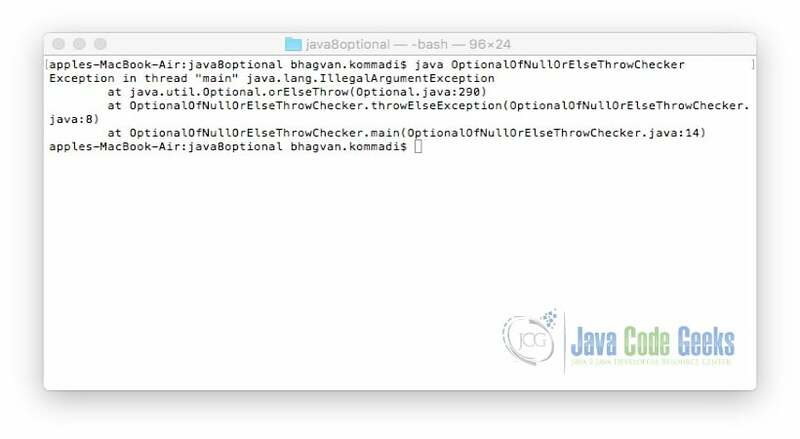 ElseThrow method can be used when there is no value assigned to Optional Object. You can use orElse method when an Optional has a Null Reference. You can consume an Optional if the value is not empty. Developer need not do anything if the value is empty. Chaining can be avoided if the goal is to get a value. You should avoid declaring a field of type Optional. 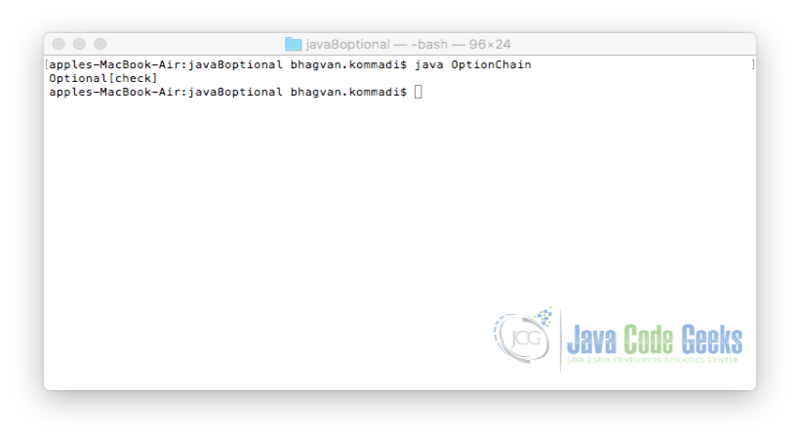 Avoid using optional in arguments of the constructors and methods. You should not implement optional in collections. Values need to be transformed using map and flatmap methods. Filter method is used to reject the values based on a rule. Developer should not use optionals in the operations which are sensitive on identity. For asserting equality, you need not unwrap optionals. You should not use Optional<T>. Developer can use OptionalInt, OptionalLong, or OptionalDouble classes which are not generic. 166,177 insiders are already enjoying weekly updates and complimentary whitepapers!